There are so many incredibly talented hockey players in the collegiate and junior hockey ranks that guarantees that the NHL will continue to be the best hockey league in the world for years to come. That being said, it is still impressive to see when a player who excels as a teenager against other players his age can make the immediate jump to the NHL and continue to be a standout player. Now while the world of professional hockey is certainly becoming a younger man’s game, to see what Jeff Skinner is doing this season in Carolina makes fans, and media alike, stop and take notice. The 18 year old native of Markham, Ontario has earned his spot with the Hurricanes to date and has been undoubtedly one of their most dangerous offensive threats. His 40 points in 49 games puts him as the leading rookie point-getter in the league and has him 2nd on the club in scoring. His overall play has been consistent and has acted as a catalyst for the ‘Canes as they work to stay in the hunt for an Eastern Conference playoff position. With 12 points in his last 10 games, it can easily be argued that Jeff is one of the hottest players in the entire league at the moment. His play has garnered him some well-deserved attention and his skills will be on full display at the upcoming 2011 NHL All-Star Game, where he will join fellow ‘Canes, Eric Staal and Cam Ward as the hockey world descends on Raleigh. 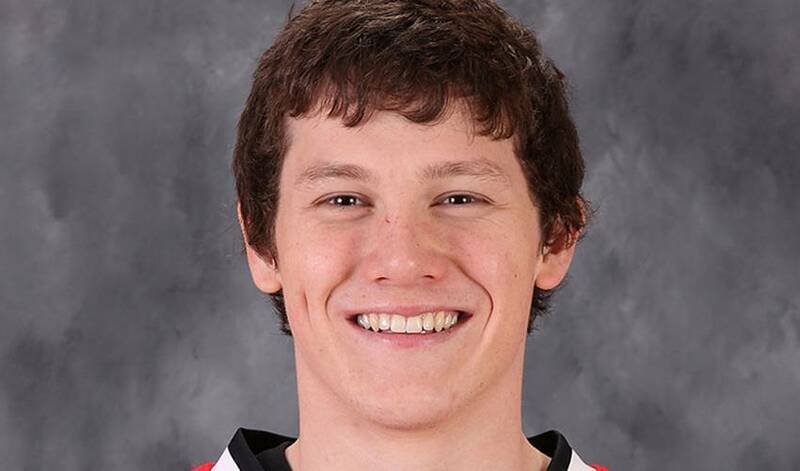 With this great start to his career, it seems a safe bet that Jeff Skinner will be attending a few more All-Star weekend festivities in the coming years!